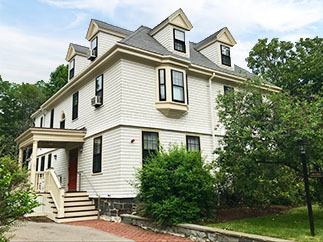 Whether your New England home is contemporary or historic, preserving its beauty means choosing the best exterior house painting contractor in the region. You want a company that does outstanding work and demonstrates true professionalism from start to finish. For over 20 years, Arch Painting’s goal has been the same: to consistently exceed your expectations on every level. Our business is not only about revitalizing homes—it’s about making the painting process as simple and painless as possible for the people who own them. Excellent workmanship: Your crew of house painters are trained craftsmen with years of experience. Their skills and expertise ensure selection of the right products and applications for your home—and a superior finished result that’s warrantied for 2 full years. Reliability: When we schedule your job, you can be sure our crew will be there on time and ready to go. 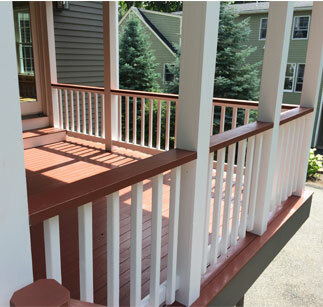 We can work on your exterior house painting project during the week or on weekends to accommodate your unique needs. No payment until the job is done: While other exterior house painting companies require a deposit before a project even begins, we won’t ask for a dime until the work is completed—for all jobs under $10,000. Protect: At the start of your project, our painters use drop cloths to protect your landscaping and outdoor furniture. We also take measures to protect your roof and other non-painted areas from paint drops and splatters. Prepare: Scraping and sanding are the first steps to preparing the exterior of your house. In most cases, we power wash your home to remove dirt and mildew, and provide a clean surface for the paint to adhere to. If your house has excess paint buildup or lead paint, we may use chemicals to strip the wood as needed. Click here to learn more about our lead-safe certifications and processes. Apply: All siding joints are caulked to prevent moisture from penetrating behind wood. An oil primer may also be applied to bare wood prior to the topcoat to improve adhesion and give you longer-lasting results.